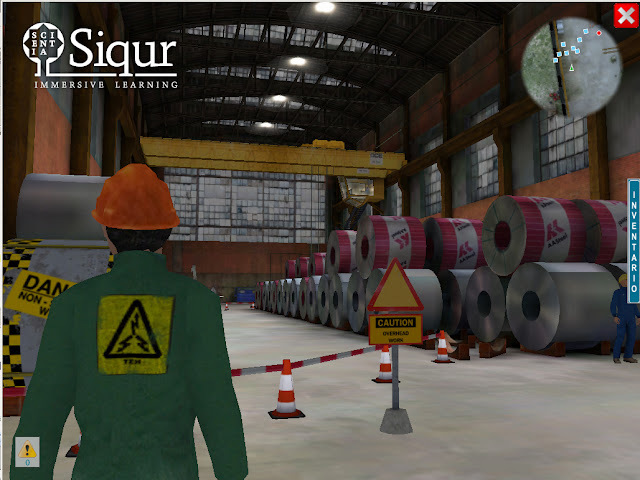 Following my prior post Fun & Serious Game Festival Bilbao, organizers announced today that Siqur, a safety training module for industrial plants, has been granted the Fun & Serious Game Festival Award for Best Simulation Serious Game 2011. Developed by Virtway for Stanford University, Siqur is aimed at “producing a change in attitude and behavior regarding safety in hazardous industries”. It is already being used by companies like Air France or Bureau Veritas, and the Asturias-based developer is working on applications to new fields, e.g. ports, as revealed by Virtway founder and director José Antonio Tejedor. Siqur combines the effectiveness of the immersive learning experience (learning by doing) with a simultaneous evaluation debriefing, tracking individually the different levels of the expected behavioral evolution. Users can experiment in real time the consequences of their acts, in a familiar scenario or environment, increasing their exercise identification, motivation and interest, impacting not just what they know, but really what they do. It also emphasizes collaboration dimension to ensure adequate performance. 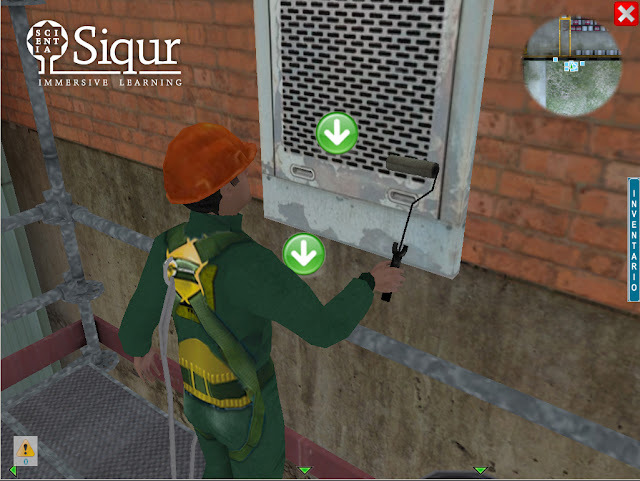 Siqur can be used by any organization wishing to develop and improve its safety skills and willing to change its workers mindset and behavior. It can be used for specific learning objectives as a full training solution, or as a complement to any existing program through a blended learning approach. Either way, Siqur is meant to reinforce collaborative training, by fostering team communication through knowledge & experience sharing. In the development of this occupational risk prevention project, Virtway was joined by Estambril Group, specializing in the protection of workers in risk occupations, and collaborating experts like Robb Lindgren (Stanford University), Juan José Salamanca (leadership expert), Nigel Bryson (occupational safety award-winner, UK), and Deborah Thomas (Serious Games specialist). Virtway is an independent division of Indigo Group born to respond to the growing demand for Serious Games solutions. Based in Spain, Virtway is an integral part of a business group with over ten years’ experience in the development of business training software. The company works with a team of specialized consultants and a multi-disciplinary team of computer engineers and 3D graphic artists with ample experience in virtual simulation platform development. They are working on two different projects: Personal Skills, aimed at providing personal skill training to workers –leadership, negotiation, conflict resolution, etc.–, and Virtway World, the first technology to create virtual worlds that are compatible with mobile devices (as well as PCs or MACs). The Best European Simulation Serious Game Award will be granted at the Fun & Serious Game Festival award gala at the Campos Eliseos Theatre in Bilbao on November 8.